If ever you've been pondering over how to take your makeup game up a notch for a special event, or hey - just because - false eyelashes are a really easy way to do just that. While I'm not of the type that wear them daily, weekly, or even remotely close to frequently - for a wedding or for family pictures, I've been known to sport a pair. I was contacted a while ago by Esqido, asking if I wanted to give a pair of their lashes a test run, and after hearing about this brand everywhere, I jumped at the chance. They were so kind to send me a pair of their "Gina" lashes and a tube of their lash glue. It's obvious to say that we can't continue any further in this post without noting how gorgeous their packaging is. Holy. Buckets. That white and rose gold? Yes please! Above are the Gina lashes. After lots of hemming and hawing, these seemed like something I'd actually want to wear for a special occasion. 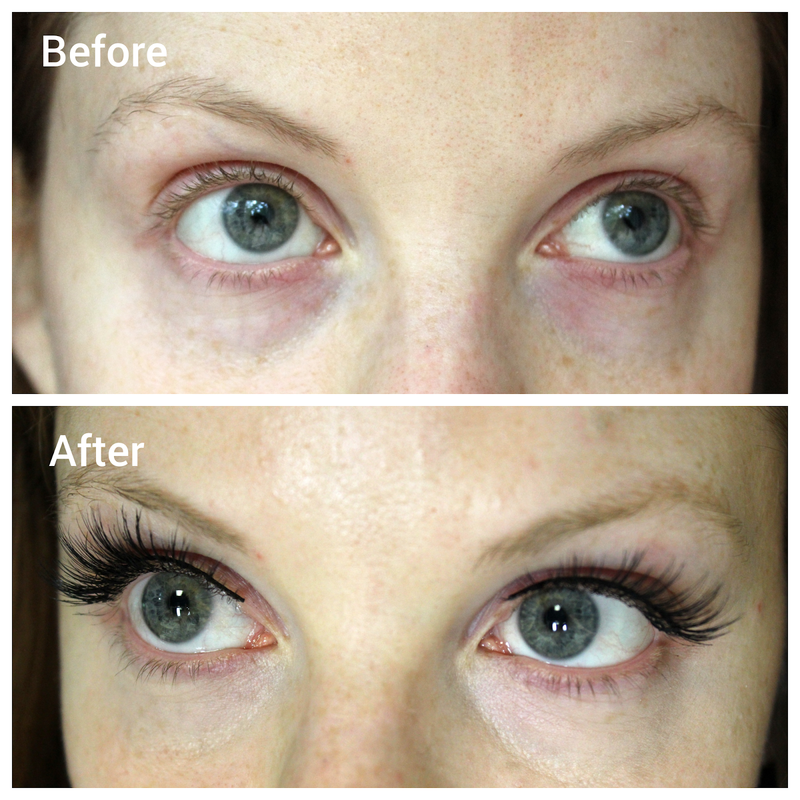 Personally, I like to keep my lash style simple and not too overstated. I like a little extra pop to my eyes. The Gina seemed like the perfect fit. For shock value, I'm wearing no other makeup in the photos below. It'll show you just what fake lashes can do for your look, and I think this is proof that if you were wearing eyeliner or a full makeup look with these, it's a no brainer that you'll get the extra oomph you were looking for. BOOM! Quite the difference, right? I think adding eyeliner to the area where you can see the band would make these look even more seamless and natural. They were comfortable to wear, and easy to apply. I found the lash glue was easy to work with and got just the right amount of tacky in a short amount of time, which I like. The Gina lashes are $32 a pair, and other Esqido lashes are of similar price, ranging up or down a few bucks. If you're new to the world of falsies, don't let this number scare you. Because these are higher quality lashes, you're going to get 10+ uses out of these before it's time to dump them. As for the lash glue, that's very reasonable, ringing in at $10 a tube. If you've got the expendable budget and you're in the market for lashes, I'd definitely recommend trying Esqido lashes. They're a luxury option and there are options for everyone and every preference. Check them out at Esqido.com.